What is an artificial flower and plant installation? An artificial flower and plant installation is a great way to create a care free stylish and impactful installation for an event, venue, shop or workplace. It could include anything from artificial cacti, through to artificial trees and artificial flower walls. 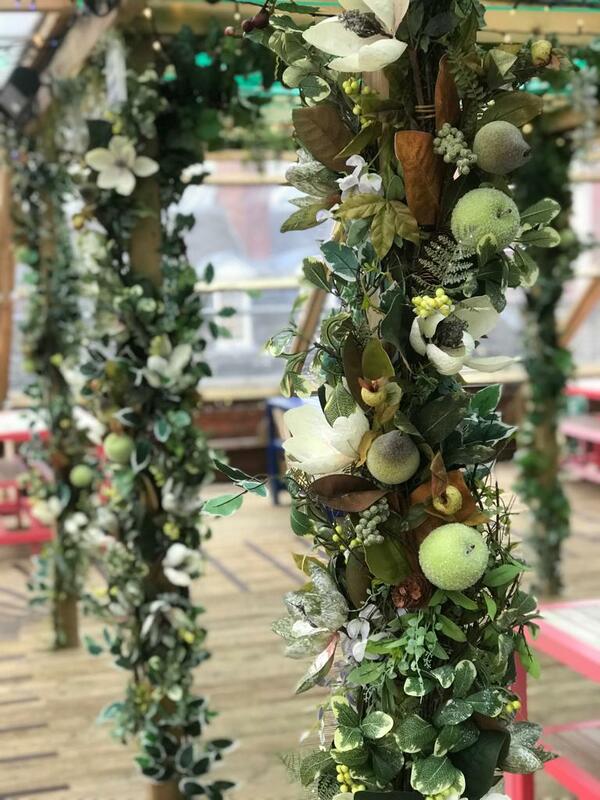 Artificial flower installations can be used to highlight a store front to increase footfall, to create a beautiful backdrop for photographs or Instagram moments, or to really bring an event to life. How does an artificial plant installation work? What’s the process from brief to beautifying? Initially we’re sent a brief from the client which can be as fleshed out or as bare as you’d like. We then come and visit the site and yourselves so we can see what we’re working with. After that we send back a response to your brief that includes our ideas for an artificial plant installation along with our quotes for our artificial plant services. We can then meet again to show samples if you’d like but after that we get to work and build your artificial flower installation. How long does an artificial installation last? The duration of our artificial flower and plant installation depends on how long you need it for. It could be a beautiful artificial flower wall for a wedding party that lasts one night or it could be a permanent artificial fern and foliage plant wall for a London office. We build our installations to last the duration of its use. Can an artificial flower installation be external or internal? For external artificial flower installations we use UV resistant products to ensure no fading occurs. We also use more durable and hard standing product to cope with UK weather. For internal artificial plant installations we use an appropriate mix of flower and foliage product. How much does an artificial flower installation work? Artificial flower walls and foliage installations vary greatly in price depending on size and density. To make things work for a variety of budgets we work on both a rental and purchase option. The great thing about our installations is that they are generally built onto a reusable framework. This means with our help our clients can change the artificial flower installation to reflect a season or product launch. Where have you installed artificial flowers and plants before? We have installed artificial flower displays all over the UK, but the bulk of our client base tends to be in London. We’ve worked with cafes and restaurants, venues and nightclubs, offices and events. The great thing about artificial plants is that they don’t need the soil or planter space it’s living version needs. This means even the thinnest ledge or surface could become home to a large and colourful artificial plant display. Artificial trailing plants can tumble down a wall from the smallest source. Can you install flower walls for events and weddings? Yep! 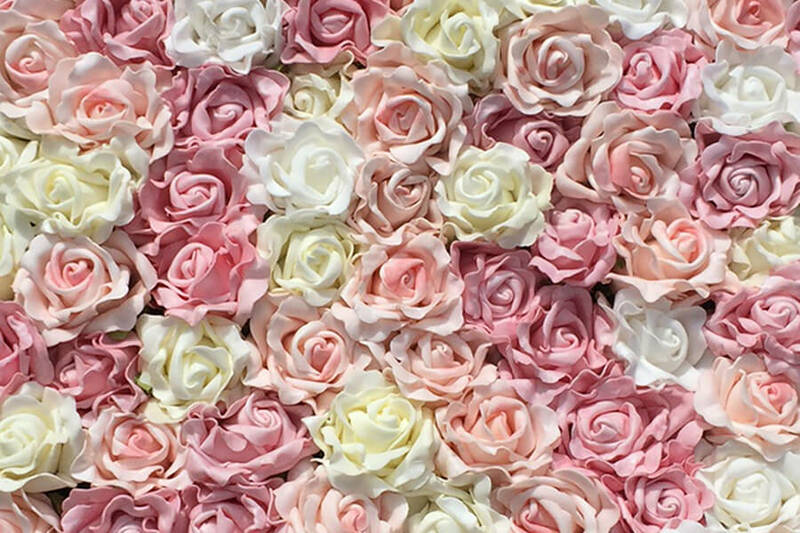 We work with florists to create beautiful artificial flower walls for weddings and events. We work with the couple of client to build a list of their favourite flowers to create a bespoke or custom artificial flower wall combination. Can I have a quote for an artificial flower and foliage installation at my event or workplace? Sure! Fire over your brief and we can take a look for you. Corporate Terrarium Workshops - How do they work?